Davor Ivo Stier (born 6 January 1972 in Buenos Aires, Argentina) is a Croatian Democratic Union politician and diplomat. He was a member of the Croatian Parliament in 2011-2013, of the European Parliament in 2013-2016, as well as 13th Minister of Foreign and European Affairs of Croatia in 2016-2017. 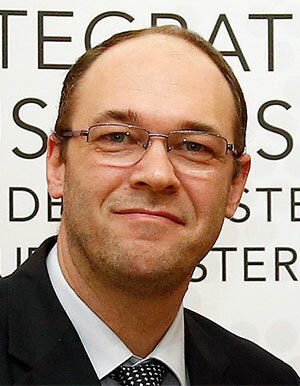 In 2015, Stier published the book The New Croatian Paradigm: an Overview of Social Integration and Development (Nova hrvatska paradigma: ogled o društvenoj integraciji i razvoju).